Perhaps the easiest way to send Amplifier orders is using an online store. 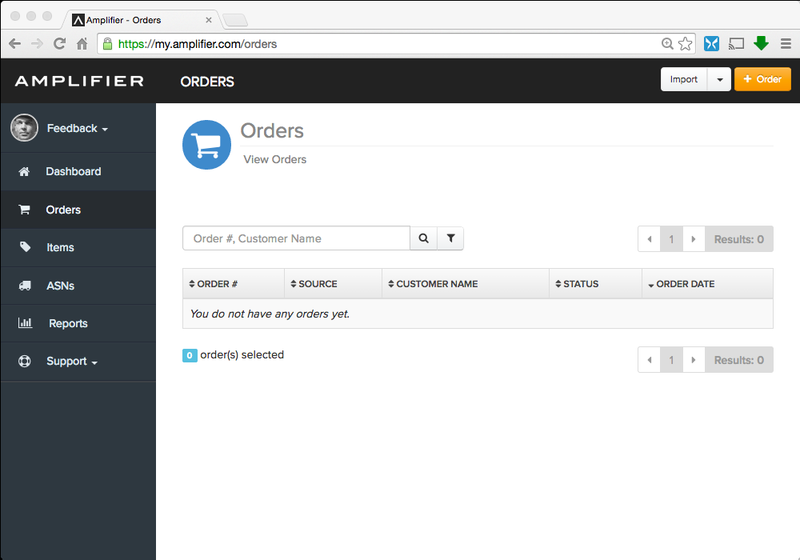 Through our rich API, Amplifier allows for seamless integration with leading commerce platforms like Shopify. What makes this form of order conveyance so nice is that you only have to set it up once. From then on, Orders will usually flow in to Amplifier without you even thinking about it. In most cases, Amplifier's API also will synchronize your Inventory levels as well as Deliver Tracking Numbers after we've shipped out each Order. 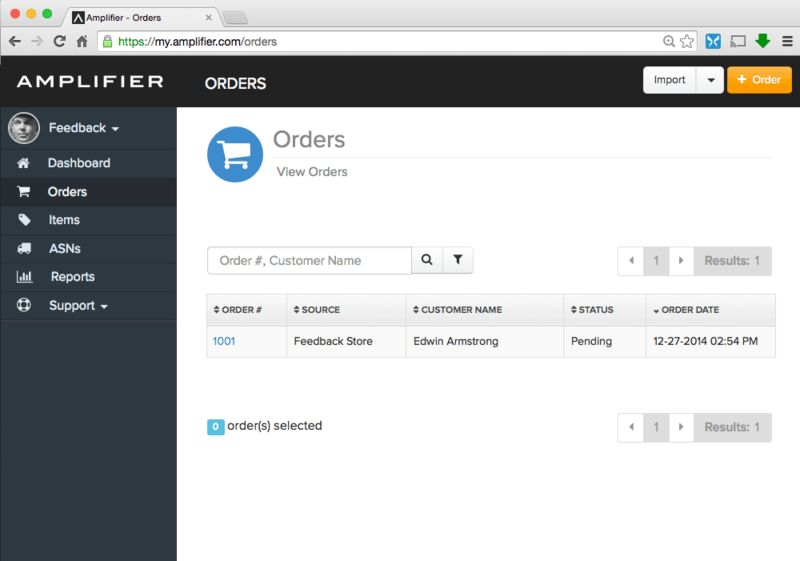 To setup your online store for Integration, please contact help@amplifier.com. 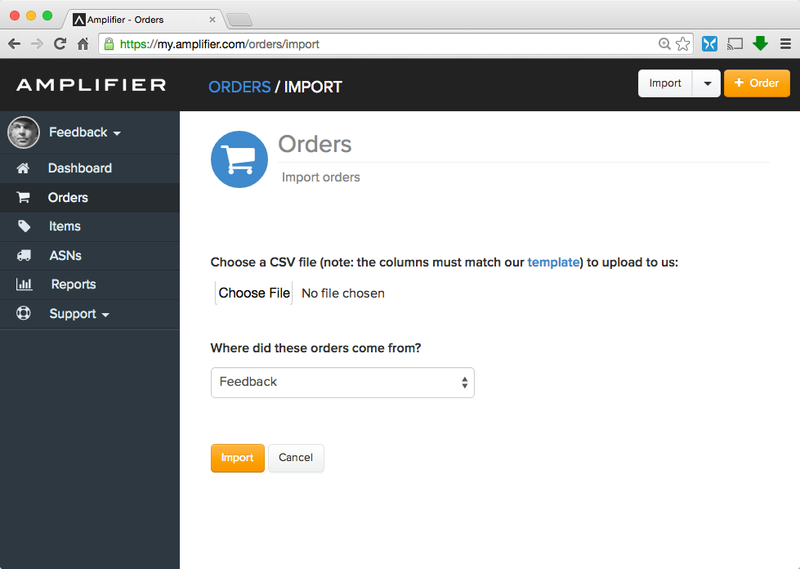 Amplifier also allows you to Import Orders. This tool is essential for many Clients. Batch Importing Orders is especially important to those who have successfully crowdfunded using platforms like Indiegogo or Kickstarter. Importing Orders is a simple process. Amplifier only requires a properly formatted CSV file. 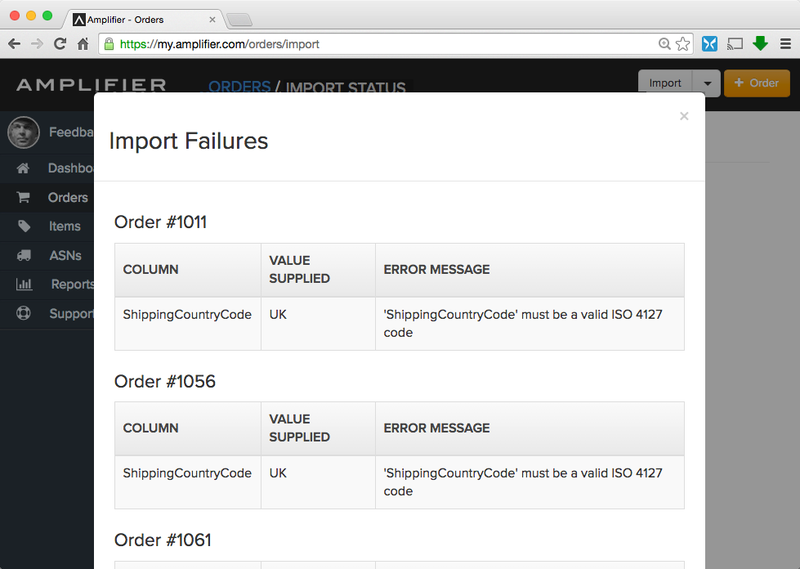 If your CSV file contains formatting errors, Amplifier will let you know exactly what failed and why in the Import Status screen. 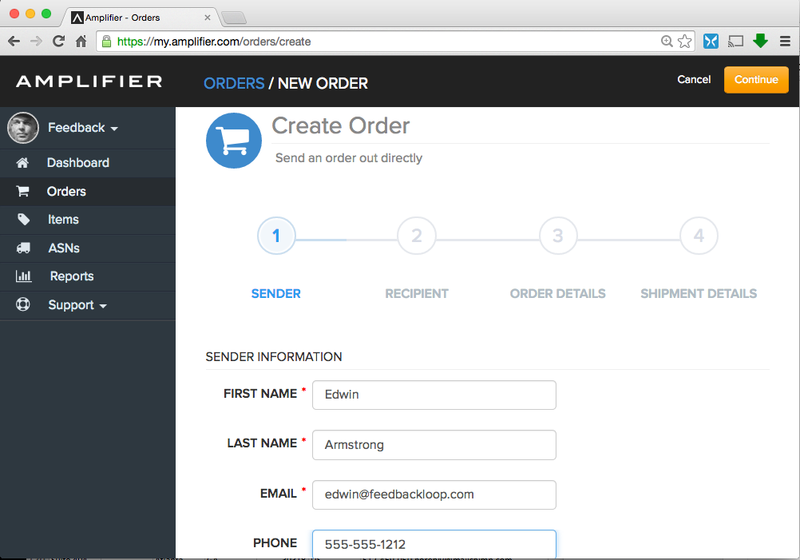 Another way to send Amplifier orders is to use our Create Orders tool. Much like a shopping cart, Create Orders collects Sender, Recipient, Order Contents and the Shipping Details. 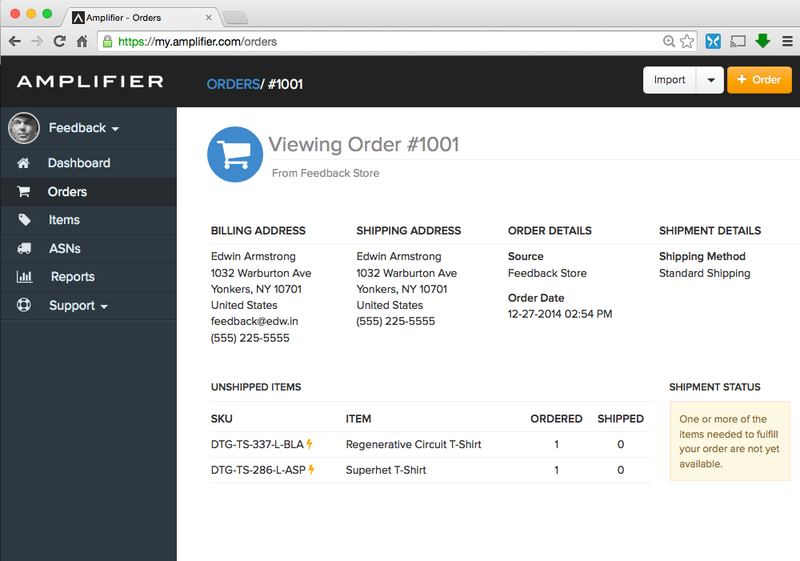 Amplifier's Orders View provides a summary of all Orders, the Order Number, Source, Customer Name, Status and the Order Date.